Rufus Jonas has a problem: his genius hamster, Hubert, is clearly out to get him. The more homework that Hubert eats, the smarter he gets, and the smarter he gets the more Rufus’s hamster realizes that he doesn’t need to take orders from anyone … especially a stupid human. Jimmy loves spending summers with his grandfather in Somerset, Kentucky. The farm is quiet, and Jimmy loves the old man’s extremely tall tales. But after Jimmy is careless with his trash, Grandpa tells him a chilling story about vampire rodents that might not be a tall tale at all, and maybe explains the impossible. Natasha and her twin brother, Patrick, don’t get along. They like each other well enough, but only because their parents make them. They just can’t seem to be friends like twins should be. 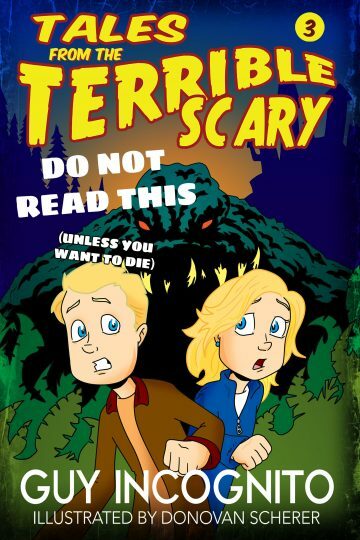 But when a dangerous book begins circulating around their school, promising that anyone who reads it will die, all of Natasha and Patrick’s friends are affected. Now the twins must work together, helping ancient fairies and ugly trolls to solve puzzles as the make their way to an old castle, where they must undo a curse and restore their world. The road is long and hard, and if Natasha and Patrick don’t make it before morning, everyone will die.